Y Early Childhood Learning Centers promote healthy living with nutritious meals, regular physical activity, and rest time. Contact the program director at your preferred location to see classrooms, meet staff and more. 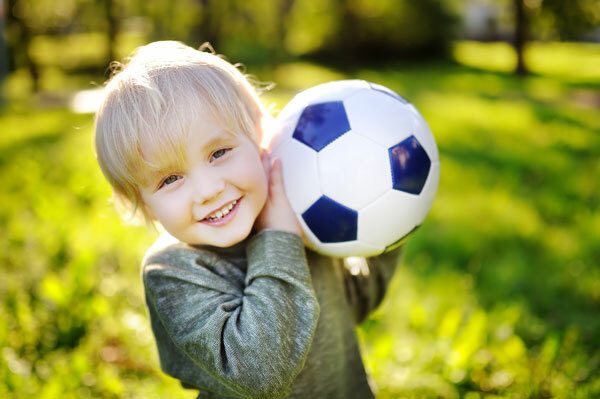 Our child care programs follow HEPA standards to create healthy lifestyles. These guideline provide standards for the amount of physical activity, limits on screen time, fruits and veggies snack options, water as a primary beverage and educational information about healthy living behaviors for parents to incorporate at home. Healthy meals and snacks are the cornerstone of your child’s learning throughout the day. Smart food choices are taught and modeled by our staff such a drinking water and the importance of all four food groups. 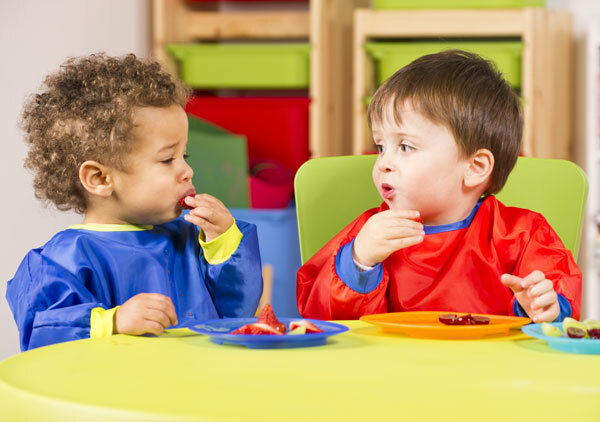 Breakfast, lunch and snack are served each day at all YMCA Child Care locations. Our locations also offer a variety of enrichment programs like Kids’ Fitness and Swimming, which also promote physical activity. The Y also uses CATCH Early Childhood (CEC) curriculum building FUN and EXCITEMENT to your child’s day! The program is designed to nurture a love of physical activity, and encourage healthy eating in preschoolers and toddlers. Modeled after the nationally recognized and evidence-based CATCH Program, CEC provides an environment where physical activity, health education, gardening and healthy eating behaviors are valued and taught. Little ones are motivated to walk, run, jump, dance and move their whole bodies while playing and having fun!